Namgoong Min is being credited as having injected new fuel in KBS’ sputtering Wednesday-Thursday drama segment. 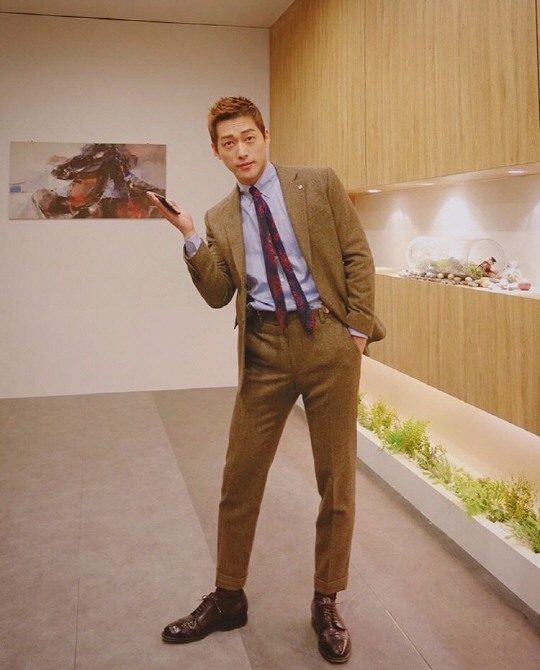 According to research firm Nielsen Korea, Friday, the sixth episode of Namgoong Min’s “Chief Kim,” recorded a nationwide viewership rate of 16.7 percent, beating its own record of 15.5 percent from the previous episode. Industry watchers are looking on with interest at how “Chief Kim” progresses with each and every episode. “Chief Kim” premiered on Jan. 25 and airs every Wednesday and Thursday at 10 p.m. The show is an office comedy involving heroic manager Kim, who stands by the disadvantaged and weak. Kim bravely fights corruption and irregularities, in turn saving the staggering company. Two other series that air concurrently with “Chief Kim,” “Saimdang, Light’s Diary” on SBS and “Missing Nine” on MBC, respectively garnered 12 percent and 4.4 percent viewership, Thursday.